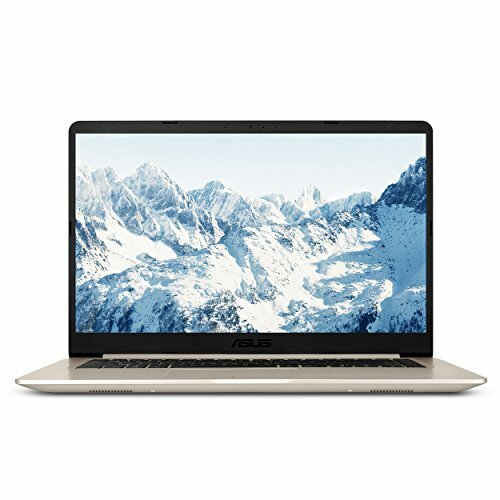 If you’re looking for an efficient lightweight all purpose laptop for office or home use, and don’t want to spend extra money on an ultrabook, then consider the new Asus vivobook S510. This laptop offers great value for the money despite some flaws. Continue reading to check our review and detailed feature tour. With an amazing 0.7 inch profile, and a very compact design, it’s hard to believe that the Vivobook S510 is actually a 15.6 inch notebook. This is accomplished thanks to the very narrow bezels around the screen. The S510 weighs only 3.7lbs and can be carried around easily to office or college for example. The design is very sleek, with a chassis made of brushed aluminum on the lid and plastic on the keyboard deck, sides, and bottom. The overall design feels quite sturdy, and only a minimal flex is noticed when pressing hard on the keyboard. The brushed aluminum lid also provides a nice premium touch, which is very welcome at this price range. As for the I/O, the Vivobook S510 offers a pretty comprehensive array of options, including 1 USB type C, 1 USB 3.0, 1USB 2.0, HDMI, and a card reader. The S510 sports a beautiful 15 inch Full HD display, which also has IPS technology. Viewing angles are decent thanks to the IPS panel, and the measured DeltaE is a pretty average 4.8. Color accuracy is also quite limited on the other hand, with values under 80%. This matters if color accuracy is crucial to you. The Asus Vivobook S510UA-DS51 has an 8th generation core i5 processor, 8GB of RAM, and a 256GB solid state drive. This is a solid combination if you’re looking for an all purpose laptop for work or for multimedia use. The i5-8250U is a dual processor with hyper threading, and thanks to the 256GB solid state drive, the overall performance is very snappy, and system startup and app launches are quick. In the gaming departement however, the vivobook s510 shows a mediocre performance, which is to be expected since it only comes with integrated graphics.